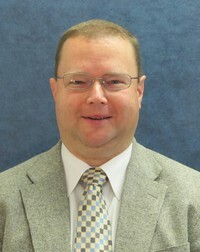 Dr. Scott Smith serves as the Contemporary Worship Leader for RRUMC. Scott's 'other' job is serving as the Director of Accountability, Research and STEM Programs for Spartanburg School District Five. Originally from Camden, SC, Scott began playing with music team for SC United Methodist Youth events while in middle school. Through the years, he performed at events including the Springmaid Beach youth retreats and Youth Annual Conference, among others. During this time, the music team recorded two albums. Scott also served as a Dean for the SC Conference Youth Choir for many years, and worked as a lead with the Batesburg-Leesville Salkehatchie camp. Prior to moving to the Duncan area, Scott served as the Contemporary Worship Leader at Buncombe Street United Methodist Church in Greenville. Smith resides in Duncan with his wife, Liz and children Molly (12) and Mason (9).